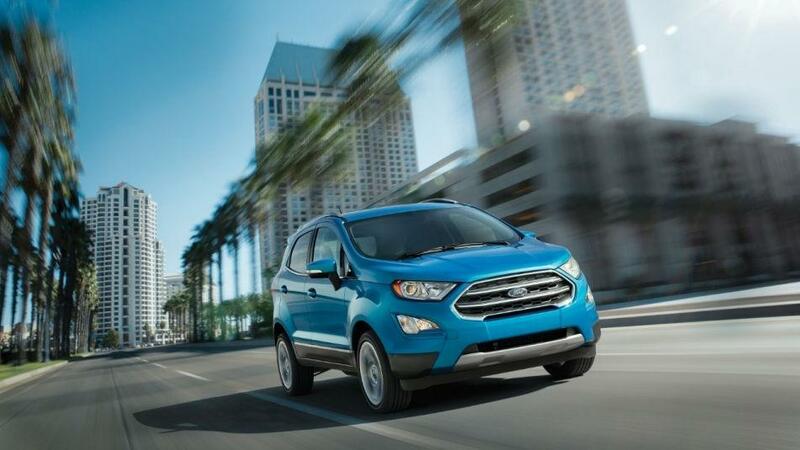 What's the difference between the Ford Escape and Ford EcoSport? When it comes to traveling with the family this summer, long gone are the days of the station wagon. Instead, families are now flocking to midsize Ford SUVs to enjoy each adventure that awaits them. As the competition heats up in this segment two Ford models continue to battle for the crown. In this corner, is the 2018 Ford Escape. Ford’s top-selling vehicle in Canada - offering more driver assistance features and power than most in its class. With power offered by either a 2.5L i-VCT, a 1.5L turbocharged EcoBoost engine, or a 2.0L Twin-Scroll EcoBoost rated at 245 HP as well as added traction from Intelligent 4-Wheel Drive and a max tow rating of 3,500 lbs. to tow those fun items like a boat or four-wheeler. Thanks to a tight suspension the Escape is one of the more engaging compact SUVs to drive. Although a small vehicle, there is also more than meets the eye inside this SUV Crossover. With more space and legroom than ever before for both driver and passengers, the all-new Escape also offers a more elevated seating position for a clearer view of the road ahead. Despite not having as much cargo space as some vehicles in its class, 34 cubic feet behind the rear seat, which rises to 68 cubic feet when the rear seatbacks are folded down make it possible for all your grocery shopping items or luggage. An available gesture-controlled tailgate, which opens at the swipe of a foot, also takes very little effort. If its added luxury features you are in the market for, this competitor also offers an easy to use rearview camera as well as Ford’s Sync infotainment control system with a 4.2-inch center touchscreen. For those parents who are most concerned about safety, the Escape is also available with advance safety aids like forward-collision warning, automatic emergency braking, lane-keep assist and automatic high beams that are each unavailable on its competitor. 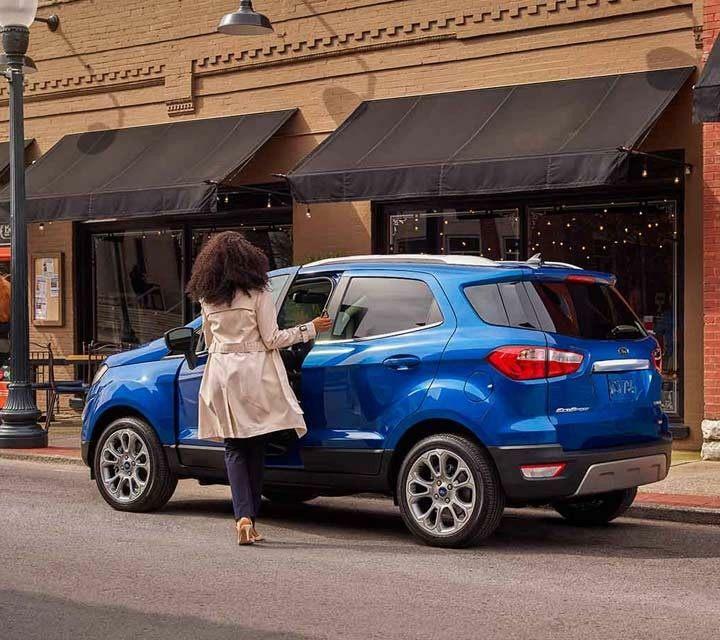 First introduced in Brazil, in 2003, the 2018 Ford Ecosport is perfect for those who are economy-minded and into fun, sporty style. Offered in both front and four-wheel drive, this vehicle is powered by a 1.0-litre three-cylinder EcoBoost motor, which is turbocharged to enhance performance. For those who opt for four-wheel drive, will have the option of a 2.0-litre direct injected four-cylinder engine, which is mated to a six-speed automatic transmission. This option also provides Intelligent 4WD, which monitors your speed, turn rate and tire slippage. If you prefer a vehicle that is environmentally friendly, this small SUV even offers Auto Start-Stop Technology, which can help reduce fuel consumption all while lowering emissions. This software shuts off the engine automatically, when sitting idle. This even helps you save a little money in the long run! Although small, this family-friendly vehicle is abundant with cubbies, nooks and crannies to carry everything that you could possibly need. Children can also be entertained by a built-in 4G internet hotspot. While some automotive experts could tell you which popular Ford SUV model is their clear-cut winner, the top dog in this battle is entirely up to you. To make this decision an easy one, drive to Van Isle Ford Sales today to take a test drive that will make a hard decision easier than ever.